This is a table of contents (with links) for everything about the 2015 Edmonton Open. All the things we reported on – our players, volunteers, officials, venue, sponsors – and of course video highlights of all the great table tennis on display at our annual tournament. Once again thank you to everyone for your support. You’ve made the 2015 Edmonton Open a memorable event. See you next year! 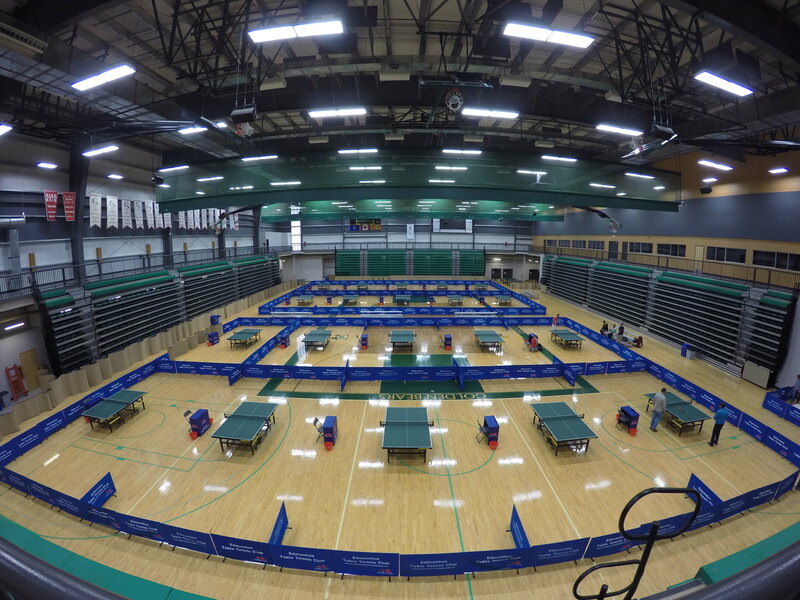 The 2015 Edmonton Open Table Tennis Championships took place September 5 and 6 at the Saville Community Sports Centre. The Edmonton Open is an annual tournament organized to Table Tennis Canada’s (TTCAN) 3-star standard and is hosted and run entirely by volunteers of the Edmonton Table Tennis Club (ETTC). This entry was posted in The Edmonton Open and tagged 2015 Edmonton Open, Edmonton, Edmonton Open, Ping Pong, Saville Centre, Table Of Contents, table tennis, YEG. Bookmark the permalink.